Commercial Roofing MN – Weatherguard Construction Co.
Winter is coming. Is your roof ready for the snow? Weatherguard Construction Company knows Minnesota. (We have the down jackets, the skis and the hockey sticks to prove it.) No matter the size or scope of the job–or the record-breaking amount of January snowfall––we have the skills and expertise needed to handle virtually any commercial roofing project in Minnesota. From the bid process through completion, our team of professionals is dedicated to getting each job done on time, with the highest standards and to each client’s satisfaction. We’re committed to ensuring quality craftsmanship with zero hassle for each client. With more than 16 years in the business, we’ve already satisfied thousands of customers. A Platinum Preferred contractor, we proudly score an A+ rating with the Better Business Bureau. Did we mention hail? As a member of the Hail Belt, Minnesota sees residents and businesses Did you know that more than one-third of homeowners’ insurance claims are the result of hail damage? By constructing an impact-resistant roof that resists hail and other severe weather, you’ll dramatically reduce your repair costs. Nestled next to the majestic St. Croix River, our Stillwater-based office provides top-notch roofing and siding services to commercial residential properties throughout Minnesota, from the Mississipi River Valley to the South Shore of Lake Superior. 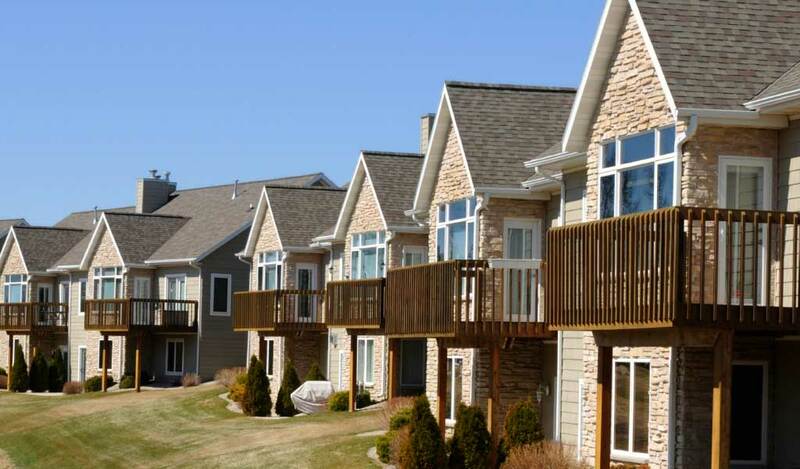 We understand that whether you’re a Homeowners Association for high-end condos in downtown Minneapolis or a small city in Northern Minnesota with several municipal buildings in need of repair, that you need a professional roofer that understands the complexities and tight timelines of commercial construction projects. Since 2001, we’ve been dedicated to commercial roofing projects in Minnesota––through ever season. We know Minnesota roofing. When working with HOAs, we understand the importance of keeping the job on schedule and on budget. In addition, we are sensitive to the fact that most roofing work contracted by HOAs will take place while homeowners are living in the structure. Our professional roofers maintain a clean job site and take care to minimize negative impacts for residents. Roofing work is necessarily disruptive, but our crews make every effort to complete each job with courtesy and professionalism. We have extensive experience working with commercial property owners to design and complete complex roofing projects. On large-scale jobs, communication is absolutely essential, and Weatherguard Construction Company is committed to maintaining open communications from start to finish. Because we have successfully completed so many commercial roofing projects, we are able to work with property owners to find ways of reducing costs. We have developed relationships with many of our commercial roofing clients, who return to us for multiple jobs. Working with government agencies requires a special set of skills, and the team at Weatherguard Construction Company is proud to serve our community by providing quality, reliable roofing services for public buildings. We understand that each property has a unique set of needs, determined by the building’s use, location and occupancy. Our team provides roofing services that are designed to get the job done with minimal disruption to the work being done inside of these properties. When providing roofing services contracted by property management companies, Weatherguard Construction understands that each job represents an extension of trust. Property owners rely on their management company to handle the maintenance needs of their buildings, and to maintain a network of professional contacts to address a wide range of issues. When a management company hires Weatherguard to complete a roofing project, they are putting their reputation on the line. We strive to ensure that the trust placed in our company is deserved, and that the quality of our work exceeds expectations. We offer a standard craftsmanship warranty on all of our roof replacement work, providing 10 years of no-hassle coverage on our jobs. Over the years, Weatherguard Construction Company has worked with a wide range of roofing supply manufacturers. Those contacts, as well as our reputation in the industry, allows us the ability to offer warranties that very few companies can match. This provides our clients with an additional measure of confidence that their new roof will stand the test of time, and that any manufacturing flaws will be addressed in a timely manner and with a guarantee of making things right. We understand that each and every job that we complete provides an example of the quality, reliability and professionalism that our clients associate with Weatherguard Construction Company. That is why we work hard to make each project a success, and to build relationships with our clients. We are proud of the volume of repeat business that our efforts have earned, and strive to maintain a reputation of excellence. We know that you have a choice when it comes to hiring a roofing contractor, and our business model is built around the belief that success comes through completing each project with the intent of becoming that client’s preferred roofing company. We invite you to contact us today to learn more about our commercial roofing services, and to discuss any questions or concerns that you may have.